I got Keith Richards for Christmas! Ok, not really Keith Richards but an awesome picture of him! It was a gift from hubby that he ordered from someplace in Europe. It was late getting here, which I love because it's like having an extra day of Christmas, without all the stress that goes with Christmas. So here's it is. Sorry to those of you offended by the "F' word, but it's art, and it is Keith. 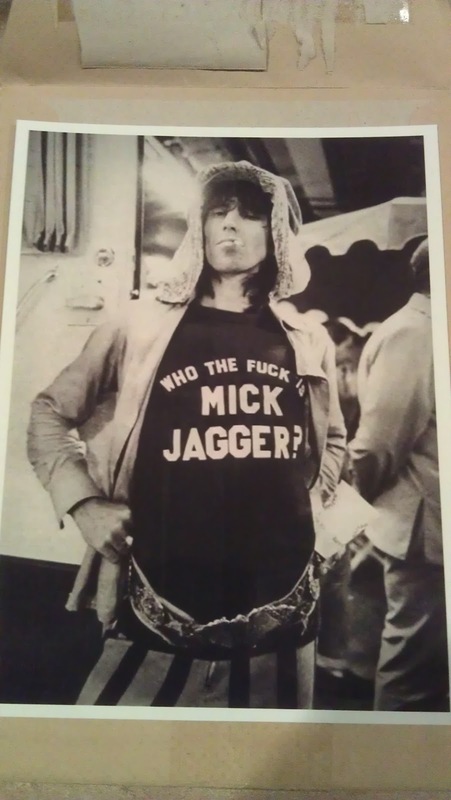 I just love that he is posing just like Mick. Thanks hubby, what an awesome gift!